Bananas Fun Park is an indoor outdoor family entertainment center (FEC) located in Grand Junction Colorado. Among Bananas Fun Park’s many amusement attractions is a huge indoor inflatable playland located in the Bananas Special Events Pavilion. Visitors to the playland can jump, bounce, and slide in bounce houses, obstacle courses, and giant fun slides. The park also has Go-Karts, Rookie Karts, Bumper Boats, Batting Cages, Mini Golf, Lazer Tag, Lazer Maze, a huge arcade, Colorado River Mining, Mini Bowling, a huge eatery (The Congo Cafe), and much more! Serving: Denver Colorado metro area and surrounding. 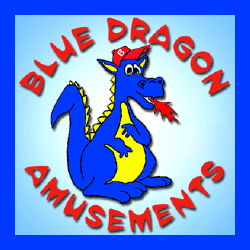 Blue Dragon Amusements has been providing Inflatable Rentals and carnival games to the Denver area since 2000. With a wide variety of interactive inflatables to rent, Blue Dragon can make your party, large event, or festival a great success. 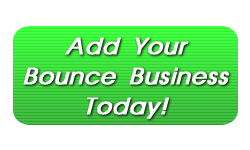 Call today or visit the website for more information on Bounce House Rentals in Denver and more. Bump N Jump is an inflatable party and event rental company located in Grand Junction Colorado. Bump N Jump serves the Grand Valley and Western Colorado, providing bounce house rentals, moon jumps, interactive inflatables, and much more. We also carry great rentals such as sumo suits, giant slides, bouncy boxing, a dunk tank, and giant slip n slide. Contact Us today for your next party or special event!